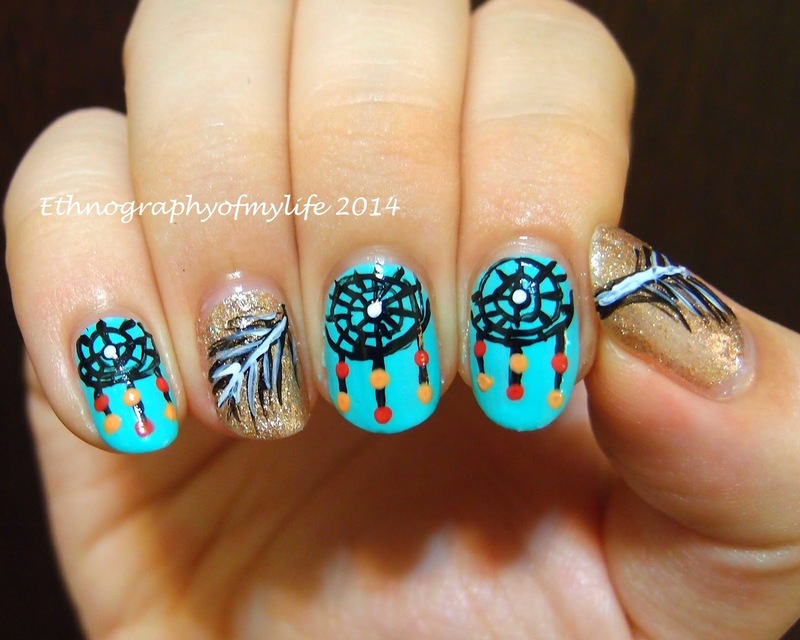 I love making dream catchers and this time finally I made it on nails! What do you think my mini dream catchers? I am really in love with this nail design and I think it's so chic! Dream catcher looks hard to draw, but in fact it's not. It's just few circles and lines (don't have to be exact as well), and some color dots to decorate them. I decorated ring finger with a thick golden base and one not-so-sucessful feather. 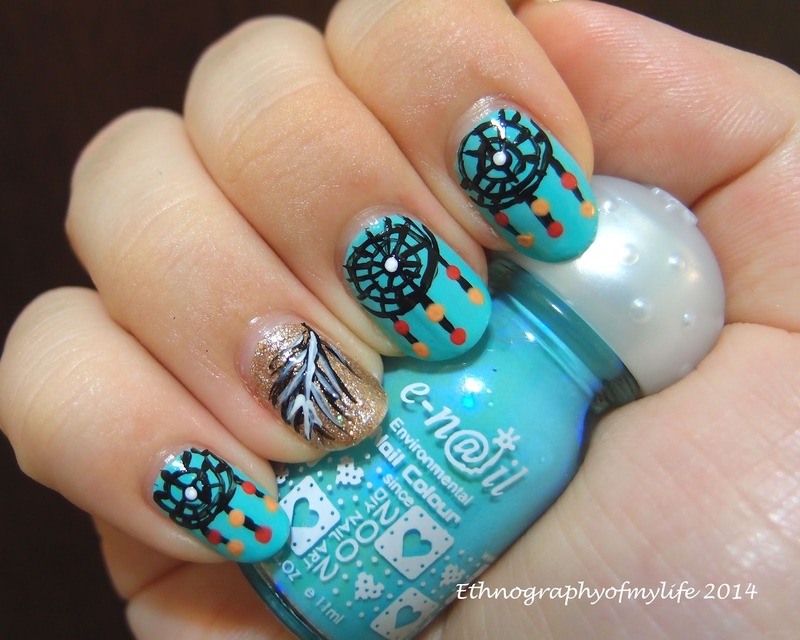 Feather and dream catcher are so MATCHED!